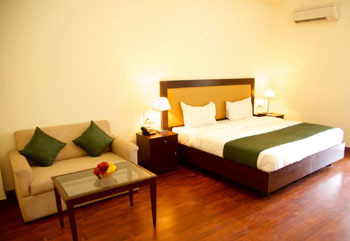 Dewa Retreat offer a quiet oasis away from the crowded city life and sometimes stressful modern lifestyle. If you are looking for a place to de-stress using traditional Yoga and Ayurveda Wellness and Organic Cuisine, we do not dissapoint. With of course the modern comforts which you may be used to each of our rooms offer breathtaking views of the Himalayan hills and there is offer a private balcony to relax, sip a cup of tea or just read a book to the sound of the River Ganges and the wind kissing the hills. Discover this unique destination with Dewa Retreat well known for Spirituality, River Adventure and Yoga & Rejuvenation Therapies. HOST A RETREAT - We welcome Yoga teachers and facilitators from around the world to host retreats with us. 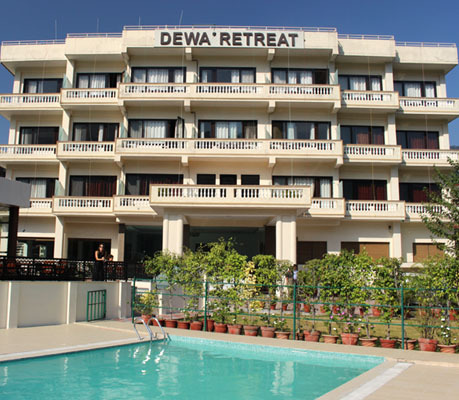 Yoga & Meditation Courses and Ayurvedic therapies can be arranged at Hotel Dewa Retreat, as can dance and music classes along with White Water River Rafting, Trekking & Camping for the adventure inclined. Or Relax at our Swimming Pool or Rejuvenate at Ananta - Our Signature Holistic Ayurveda Panchakarma Center & Spa, Veda - Library & Outdoor lounge, complete with books from Indian philosophy and Yoga to World literature. PRANA - The Yoga & Meditation Studio is available to the guests and our In-House Yoga teachers ensure that you get complete satisfaction with custom-tailored Yoga sessions.